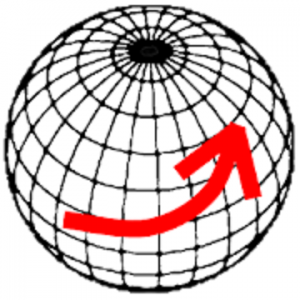 This powerful geodesy app allows you to convert coordinates between many of the world’s coordinate systems, compute geoid offsets, and estimate the current or historic magnetic field for any location. It also includes surveying tools to compute the point scale factor and grid convergence. The app uses the PROJ4 library and a lookup file containing projection and datum parameters to support over 1700 coordinate systems. Lat/lon, UTM, US State Plane, and many, many others are supported. You can also create your own coordinate systems if you know the parameters.The app also supports affine transformations to allow you to set up local grid systems. See http://www.binaryearth.net/Miscellaneous/affine.html for details. The app either takes manual coordinate input or uses your current GPS location. The computed location can be displayed in Google Maps via your web browser with a single button press. It also supports MGRS grid references. You can export any lat/lon, UTM or transverse Mercator coordinate systems to a HandyGPS datum (.hgd) file for use as a custom datum in HandyGPS. The magnetic field calculator page computes the Earth’s current or historical magnetic field at a given location. The magnetic declination computed is useful for compass navigation since it represents the difference between true north and magnetic north. Field inclination and total intensity are also computed. This tool uses the International Geomagnetic Reference Field model (IGRF-12). See http://www.ngdc.noaa.gov/IAGA/vmod/igrf.html for full details. Years from 1900 through to 2020 are supported. The app can also compute the geoid height offset for a given location, using the EGM96 model. Geoid offset can be subtracted from the height reported by GPS to give your actual height above sea level. NOTE: A version of this app is now also available for iPhones. Permissions required: (1) GPS – to determine your location, (2) SD card access – to read and write user projections file. 4.3: Added the ability to store and recall multiple points. Changed exit button to use the more standard “power off” icon.